HPL with high quality print - single or double sided. 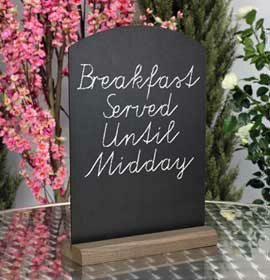 Custom made, custom shaped and often custom branded, HPL Chalkboards are available in a range of thicknesses and in one piece up to 2.44 x 1.22m. Due to the HPL’s identical finish on both sides, every board is reversible for twice the messaging power and convenience. Minimum order quantity applies to this product, please see below for further details. Description All your HPL Chalkboards will be sent as individual units by parcel delivery. 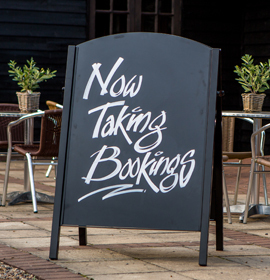 Your HPL Chalkboards will be sent in two separate deliveries – one by pallet, one by parcel. Available in 2, 3, 4 and 6mm HPL thicknesses. Virtually any size and shape - fully customisable to branding requirements. Available plain or printed (minimum order quantity 10), single or double-sided.